​ SAN ANTONIO – The Barvin Group has purchased the Towne Center and Soap Works apartment complexes on 8.9 acres along San Pedro Creek in west downtown. The complexes, at the crossing of Martin St. and Santa Rosa St., overlook San Pedro Creek, which is undergoing a $175 million revitalization expected to bring new development to west downtown. 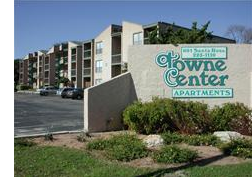 ​Check out more San Antonio-New Braunfels Multifamily Market Research.